After I finished my read before this one, I knew I wanted to read this one next. And I am glad I decided to go with my mood as this was exactly the type of read I was in the mood for. 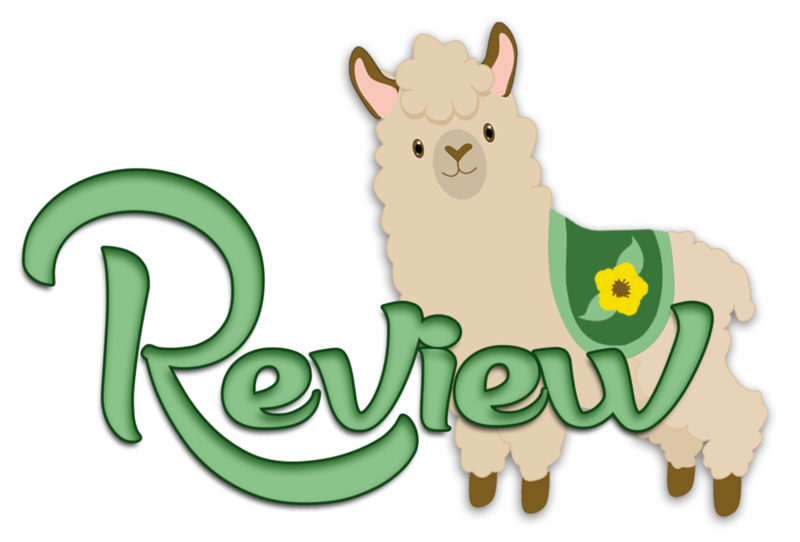 I love a good slow burn romance and Anyta Sunday writes slow burn romances so well. This was another awesome read in this series and I am already looking forward to the next book. I liked how this book mixed things up a bit and was different again from the set-up of the previous books. Instead of someone outside of the couple being into astrology, now it’s the male main character who is into astrology. And from the start of the story both guys know they are gay already. So the dynamics were a bit different because of that. Now they just didn’t realize the other was into them, but they knew the other was into boys at least. It also is the first book that actually takes place in a dorm. Which was an interesting change in setting. This book has a bit of the same vibe as the first book, but I mean that in a good way and I loved this one almost as much as book 1. Wesley the main character is a rule breaking flirty fun loving guy, while the love interest Lloyd is more strict, calm, patient and a rule follower. The whole rule follower thing is what is the cause of some of conflict as Lloyd is the Resident Assistant (RA) of the dorm where Wesley lives and RA and residents aren’t allowed to have relationships. I really liked this book. The banter and dynamic between Wesley and Lloyd is a delight to read about. And it has everything I love in a slow burn romance. There were lots of scenes that show them being close, just not quite that close yet. And as the book progresses they grow closer and closer. I like all those close scenes between them. There are a lot of touching and caring scenes and it’s obvious how much these two care about each other. Even tough it takes them a long time to admit that to the other. Wesley is also completely clueless for a long time, which was funny and adorable. Although there was one conversation where they miscommunicated so brilliantly or sadly depending how you look at it, that they both had a totally different idea of what they said. It’s the type of conversation that probably wouldn’t quickly happen in real life, but it was fun to see how Wesley completely misunderstood Lloyd. And luckily it doesn’t take as long till he does figure it out. It was fun to see how it took them some time to admit to themselves and the other their feelings. Even tough for everyone else it was totally obvious they liked each other. I liked how most of this book is the build up, only toward the end do they turn into a couple. So there eisn’t as much time with them being a couple. But the build up is almost my favorite part of a slow burn romance and there are so many great scenes in the build-up part, but I also love that moment when they turn into more. And the scene at the party at the end was great too. The epilogue was a nice way to wrap it up. 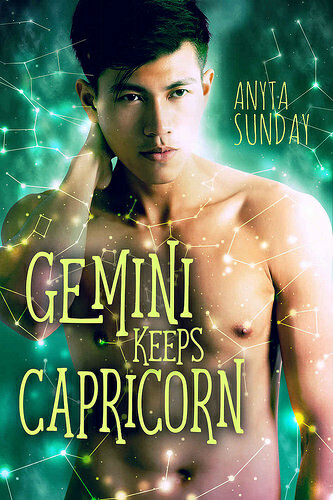 And I also read the novella Gemini Rules Capricorn, which is basically one steamy scene with a bit of build-up, which was fun to read too. And it’s nice to see them being a couple. Gemini Keeps Capricorn has a bit of a friends to lovers theme. They got from friends to best friends to lovers throughout this book and I loved seeing them get closer and closer as the book progressed. It also has a hint of forbidden romance, which was fun too. As you knew they couldn’t start anything and at the same time I was wondering if they would or if they would wait till Wesley moved out. The book has a slight fake fiancé theme, which I usually don’t really care for, but it worked here. As it’s only a small thing as they only pretend in front of a few people and not in the dorm, where a big part of the book takes place. It also has some opposites attract in it, I liked how different these two were, but so good for each other and their differences made for this awesome dynamic and interactions. There are also some side characters that play a role in this book. Like Caleb, Wesley’s younger brother, who has some struggles of his own. I liked seeing their brotherly dynamic and how close they were. Caleb also has a small romance subplot of his own. And there are some of Wesley’s friends, Suzy and MacDonald who work at the same coffee place as him and are good friends of Wesley. Then there is a another RA named Gavin who plays a part and I liked the scene with him at the end, it was a nice twist. There also is a plot line involving Wesley’s mom, who he hasn’t spoken to as she doesn’t approve of him being gay. I was happy with how that plot line got resolved. There also are a few small cameo appearances of Theo and Jamie from book 1, but it can easily be read as a standalone. To summarize: This book has such an awesome slow burn romance. I really enjoyed the story of Wesley and Lloyd and seeing them get closer and closer. The build-up is full of awesome tender and touching scenes and it’s obvious how much these two care about each other. I really felt the romance between these two and I loved seeing them grow closer till they became a couple. I loved the banter between Wesley and LLoyd and I enjoyed their dynamic and seeing them interact. The book for the most part is them being friends and only a bit of the end with them being a couple and a little bit of steam there. The novella that takes place after this one has a bit more steam and shows them as a couple. I liked how the focus was mostly on Wesley and Lloyd, but there were some side characters as well that played a role. All in all if you enjoy a good slow burn MM romance I would definitely recommend this book. What was the last friend to lovers book you read? I prefer the slow-burn romances, too. Neat that is opposites and friends to lovers with some good banter. You’ve got me sold on this series for eventually. I really like the well done slow burn romances. These two were such a great couple to read about with how opposite they were and they had some great banter. I hope you get the chance to read this series eventually. I just remember book 2 was free recently and I forgot to let you know about it then. I’ll try to remember to let you know next time one of these books is discounted. Yay slow burn and banter! And they sound like an interesting match. Seems like the romance was realistic and sweet and well-written 🙂 I’m glad you’re enjoying this series so much!